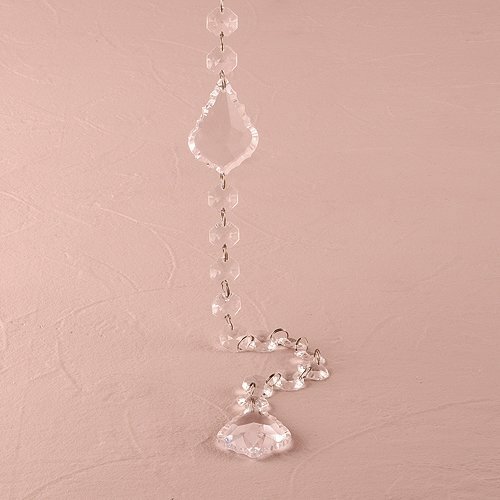 Inspired by the timeless elegance of a traditional crystal chandelier, these acrylic "crystals" will add a touch of glamour to your wedding day festivities. Faceted octagons of clear acrylic are linked together by small silver-toned metal alloy hoops in the Acrylic Crystal Garland with Maple Leaf Prisms. The stands are accented by larger crystals in a shaped called a "maple leaf". 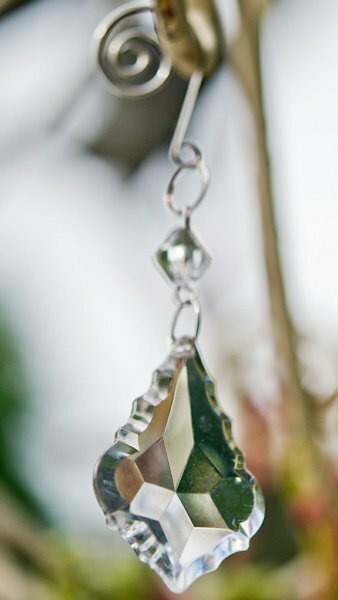 Not quite leaf-shaped, the larger crystals are more like an angular teardrop and reflect the light in a lovely manner. 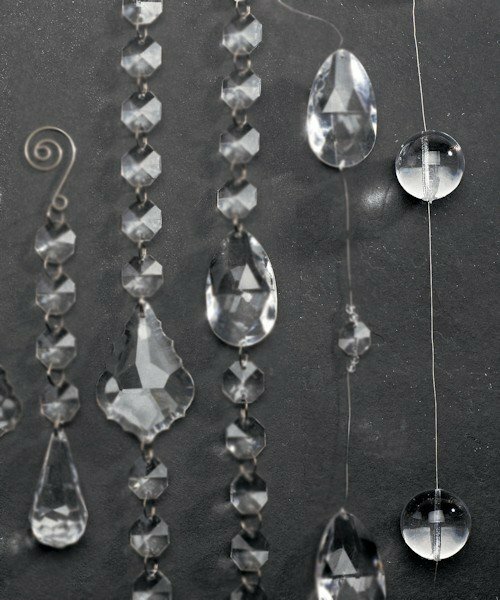 These 6 1/2 ft. long strands have an old world appeal that gives any wedding or reception venue an added sense of elegance. 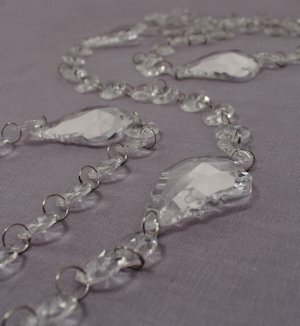 This garland would be lovely accenting the front edge of the sweethearts table with refracted light. 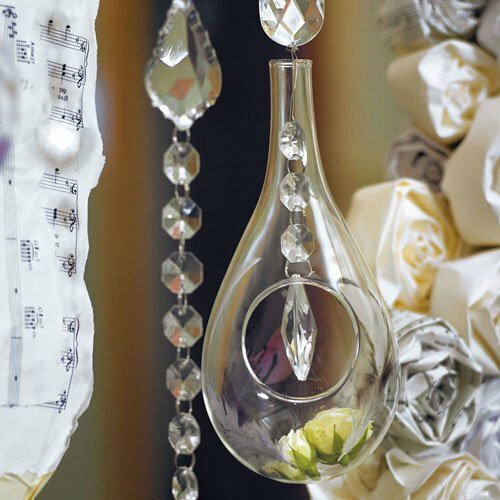 Hang several from above or spread them down a table for an elegant accent to your glamorous wedding decor.